After Steinbeck's East of Eden, it was time for a changeup. 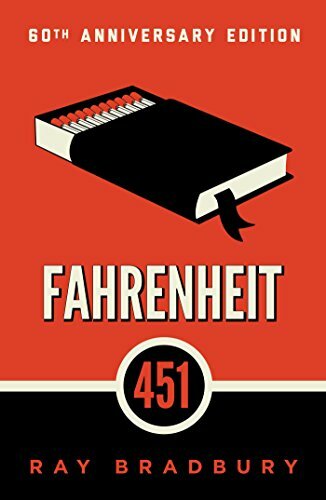 Having very little knowledge of Ray Bradbury, Fahrenheit 451 is one of those books that people are shocked I had not read. But true enough this reading was my first. Published in 1953, Bradbury wrote under social and political circumstances quite different from my own. However, the themes of the book seem equally important while the content of the story seemingly is closer to reality. In a dystopian future, Guy Montag is a firefighter whose sole task to burn books. Bradbury depicts a world in which books were rejected because of the strife and division they caused. People grew comfortable with thin meaningless media entertainment. The concepts depicted in Fahrenheit 451 feel eerily similar to our technology-obsessed culture in which binge-watching TV is normative and social media can be used exclusively for news. “You're a hopeless romantic," said Faber. "It would be funny if it were not serious. It's not books you need, it's some of the things that once were in books. The same things could be in the 'parlor families' today. The same infinite detail and awareness could be projected through the radios, and televisors, but are not. No,no it's not books at all you're looking for! Take it where you can find it, in old phonograph records, old motion pictures, and in old friends; look for it in nature and look for it in yourself. Books were only one type or receptacle where we stored a lot of things we were afraid we might forget. There is nothing magical in them at all. The magic is only in what books say, how they stitched the patches of the universe together into one garment for us." For all the philosophical value I could derive from Fahrenheit 451, I can lodge a mild complaint in the character department. The book is short, but the characters come off extremely flat and deliberately there to serve their singular focus. This in no way ruins the material, but it does reflect the nature and purpose of the book. 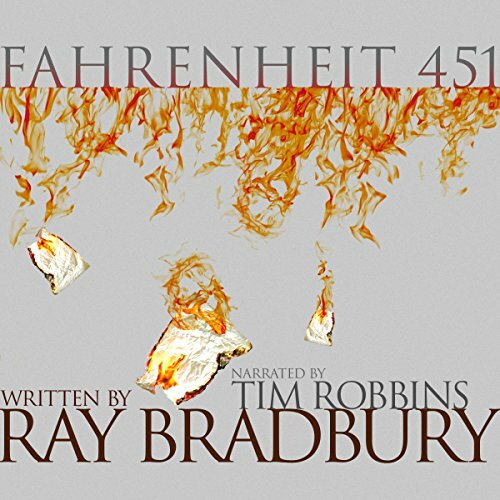 Read by Tim Robbins, Fahrenheit 451 provides some unique opportunities and experiences. Some of the fragmented internal thought processes of Guy Montag make for interesting dramatic reading, pacing, and volume changes. Some worked and some were annoying. I'm confident that different listeners will have a different appreciation or disregard for different portions. On the whole, Bradbury's story does not provide many characters to test Robbin's voices. While his voicing of Mildred is immensely annoying, it serves to (fairly or not) support the general depiction of her. In conclusion, Fahrenheit 451 is one of those books that I will eagerly place in front of my kids. I look forward to having discussions about its content and themes. While one of my more enjoyable reads this year, it lands around the middle of the pack in terms of total appreciation despite easily being the most relevant book I've read in 2018.